As experts in both locksmithing and security, we want to ensure we are providing each of our customers with the most relevant and up to date information regarding home security and how best they can protect themselves or their homes from an intruder. We want all our customers to be able to make informed decisions on how best to protect their property, business or office and to help ensure they are in compliance with current insurance requirements set by their home insurance provider. Home Insurance providers will often specify that your home must be fitted with British Standard locks (on both your doors and windows). What are British Standard locks? In order for any type of lock to be classed as ‘British Standard’, the lock must have been through strict testing which includes the strength, durability and its security. These locks are then re-assessed and re-tested to provide the customer with complete confidence in the safety, quality and reliability of the British Standard locks that the local locksmith has fitted. Are my locks British Standard? Any lock that is ‘British Standard’ will have the British Standard Kitemark image on the face of the lock (pictured to the right). Sometimes the Kitemark on the face of the British Standard lock will be accompanied by BS: 3621 2007 (mortice locks) or BS: TS007 (Euro cylinders) these are the current British Standards required for Home Insurance purposes. Bins and ladders should be stored away from your home. These could be used by an intruder to access a 1st floor window. A good security tip is to store bins and ladders in a shed or garage if possible or you could invest in some wheelie bin storage such as a Rowlinson Wooden Triple Bin Store to keep your outdoor items safe, and inaccessible to burglars. Never leave any valuables where they can be seen by an intruder. Leaving valuables in direct view of a window is like advertising the contents of your home. 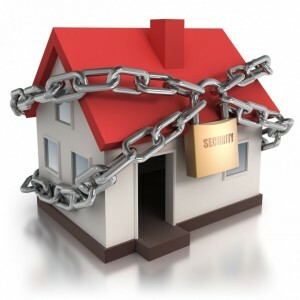 A useful locksmith tip is too find somewhere in your home that is not an obvious place for valuables. Also, investing in a safe may be a good home security measure, if you have items of major value in your home. Posting details of when you will be away from your property will let any of your followers know that your home is potentially vulnerable. A home security tip, would be to ask a trusted neighbour or family member to keep an eye on your house when you are away and maybe to park their car in your driveway, so it appears the house is occupied. Keep out any unwanted guests. It is always a good idea to have a spy hole or door chain fitted as additional security. Another security tip, if you have a dog or cat flap, is to purchase one that will only open for your pet. This will not only prevent a burglar using it to gain entry to your home, but it will stop unwanted animals entering your home. Leave a light on when you are not at home or purchase a light with a timer. This will be more beneficial during the darker evenings and if you are spending a night or week away from your home! The most simple security tip is to leave a radio or TV on as an alternative to leaving the lights on. Security products such as a light with a timer can be purchased online. You can also purchase a television simulator, which mimics a TV screen. By emitting different colours and light patterns, it will appear someone is in your home watching television. Going away for a long period of time? Ask the Royal Mail to hold your post. The Royal Mail operates a ‘Keepsafe®’ service where they will hold your post for up to 2 months.Our locksmith tip is to ask the Royal Mail to hold your parcels and letters as this avoids a pile up of post which could alert an intruder as they will be able to see your home is unoccupied. 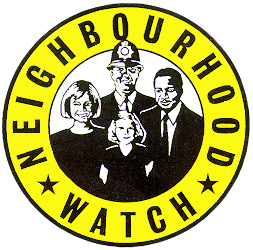 Alternatively if there isn’t a local Neighbourhood Watch scheme near you and you are going on holiday, you can inform a trusted neighbour that you will be away, so they can keep an eye on your home. Store all house and car keys away from your front door! You can have a key hook fitted inside your home or have a key safe fitted on the outside of your home. A letterbox cage or guard can be fitted additionally; this will help to deter a method of entry used by intruders called ‘Key Fishing’. Fit lights with sensors on the front of your property and in the garden. These will help to deter a burglar as they are often more confident when it is dark. A home security tip you may not of heard, is putting gravel on your front driveway. The noise it makes when walking toward your house may deter a burglar, for fear of being heard. Mark all of your valuables with a UV pen. Check all of your locks including garages, gates or sheds. Upgrade or replace any faulty locks. Make sure that any objects that can be used by an intruder to gain entry to your home are safely locked away in a garage or shed. When leaving the property always remember to lock any doors and windows. The majority of intruders will use an unlocked door or window to gain entry to a house. Even the best security system in the world is useless unless it’s turned on. So making sure all your doors and windows are locked and any alarms are switched on is the simplest and one of the most effective home security tips we can offer you.